Push hard and push fast in the center of the chest when giving compressions. Located in San Francisco, California, San Francisco CPR is a top tier training provider of CPR programs. We have BLS and ALS programs all through the week, each program with an accompanying re-certification class. Our programs are very affordable as well, offered at the cheapest rates in the city without compromising quality. There is a total of five training programs and 3 re-certification classes. There are different ways to sign up for a program. The easiest (and most popular way) is through the San Francisco CPR website. Trainees are encouraged to use the online application form to give a few personal details and details regarding the program they want to sign up for. Contact information is also available on the website, if ever a trainee wants to sign up over e-mail or telephone. Walk-ins are likewise encouraged as well. Credentials received from San Francisco CPR are valid for two years, all over the country. They can be renewed through re-certification classes as long as they haven’t expired yet. Rescuers have to take the training program again if they let their credentials expire. Re-certification classes are available for three of the training programs. There are a total of three BLS programs at San Francisco CPR. BLS programs are focused mainly on teaching students CPR skills in chest compressions, rescue breaths, and automated external defibrillation. Defibrillation is done with an AED – a machine attached to the chest with pads and can send electrical shock to try and restart the heart. How to manage choking and bleeding emergencies is also part of the first aid portion of training. Basic CPR and AED training – There are two programs under basic CPR, one for HCPs (healthcare providers) and one for the general public. Both programs have the same curriculum (basic 1 person CPR), with the program for HCPs tailored for people who work or are familiar with healthcare. The general public program is 4 hours long while the HCP one is 4.5 hours long. 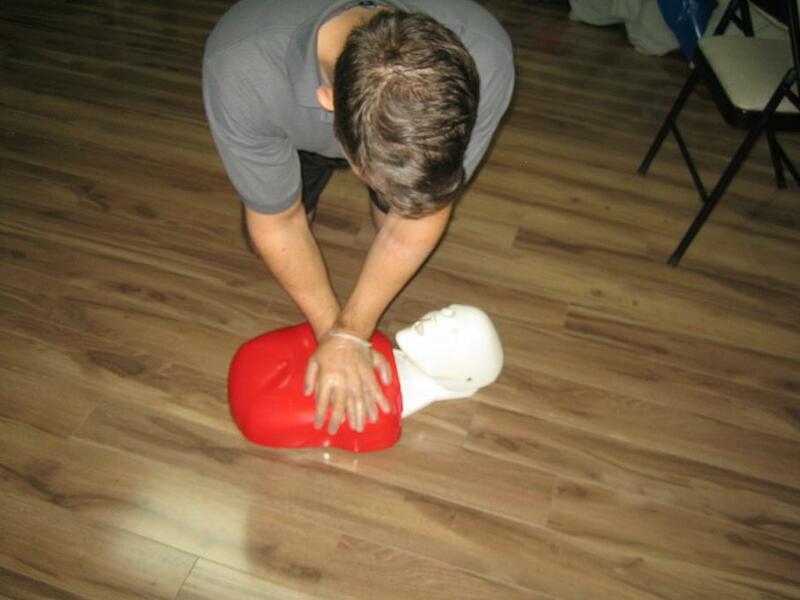 Basic Life Support – This program is for HCPs and runs for 4,.5 hours. It teaches both 1 and 2 person CPR as well as the 2010 BLS guidelines from the AHA. There is a re-certification class available for this program that is 4 hours long. ALS programs are only for HCPs because they teach trainees about medical management of cardiac arrest. Cardiac arrest is used to describe a condition where the heart cannot pump oxygenated blood effectively to the rest of the body. While chest compressions can stabilize pulse or return spontaneous circulation in the body, diagnostics and medication is still needed to completely manage the victim. Advanced Cardiac Life Support (ACLS) – A two-day program, with 14 hours total. It teaches trainees about the management of adult victims. Pharmacology, diagnostics like ECGs, and assessment is included in training. Re-certification is 5 to 6 hours long. Pediatric Advanced Life Support (PALS) – A two-day program, with 16 hours total. It has the same topics as ACLS but for pediatric victims. Re-certification is 6 to 8 hours.